I love when wedding ceremony sites include fun props. 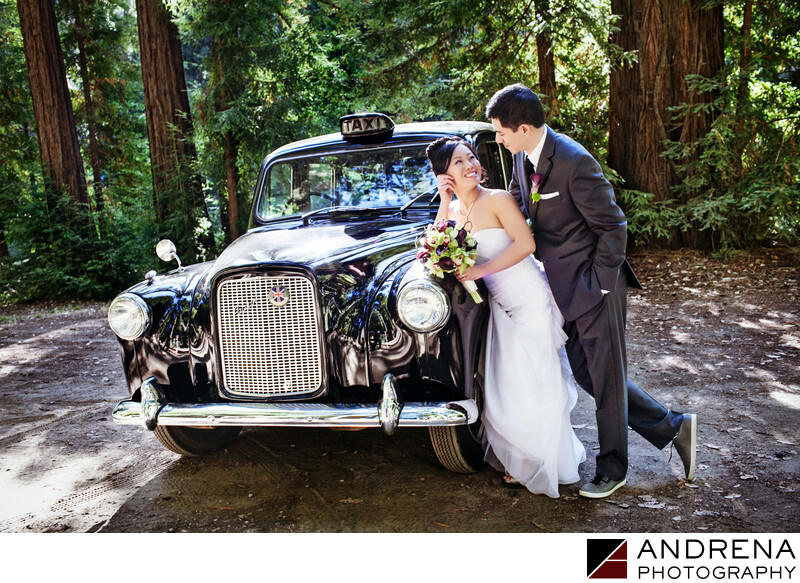 For this Chinese wedding, which took place at Nestldown in Los Gatos, I was delighted to find an antique British taxi on the site grounds. The venue's staff was more than happy to move the taxi for me, and to position it where I asked. I then encouraged my bride to lean on the taxi, and positioned her husband of just 30 minutes slightly behind her. I love the whimsy in this simple portrait. Chinese wedding photographed at Nestldown in Los Gatos, California.